What do i need to prepare to apply for a lease? We need either 3 months of your bank statement or your Employment Verification Letter. We also need your Proof of Address. If you are an NZ Citizen you will need to bring your driver’s licence. However, if you are not an NZ Citizen you will need your passport, as well as your current driver’s licence. Are foreign driver licenses accepted? Is New Zealand restricted license accepted? Yes, we accept NZ restricted licenses. For NZ restricted driver license holders, we need to take a $500 refundable bond upfront. Do you do any credit checks? No, we do not do credit checks. Can I lease a vehicle if I am holding a student visa? Yes, however you cannot pay weekly lease fees. We only accept up-front payment for who holds a student visa. What is the minimum age to lease a car? The minimum age to lease a vehicle is 18 years old. The refundable bond is from $299. Can I do weekly payment for the leasing fee? Of course, we accept weekly payment. Is there any interest if I pay weekly payments? No, we do not charge any interest on it. We accept Visa, MasterCard, and American Express (Amex). Please note that Visa and MasterCard credit cards, have an additional fee of 3% on top of the full price. Amex cards have an additional fee of 5% when used. There are no fees for paying in cash. Do you accept WeChat Payment or Alipay? Yes, however there is an additional fee of 2% when used. Do I get refunds if I return the leased vehicle before the agreed date? No, there are no refunds if you return your car earlier than the lease period. Do I need to purchase an insurance for the leased vehicle? 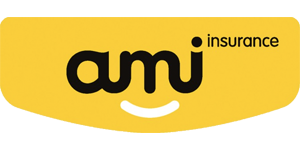 Yes, you need to purchase a comprehensive insurance for the leased vehicle, you may arrange your own insurance or we will help you to get it done thought AMI. What is the cost of comprehensive insurance? The cost of comprehensive insurance is varied. If you are over 25 years old and holding a New Zealand Full licence, your cost will be around $500 per annum with a $400 excess. Yes, 7,500km for the 6 months lease term, 15,000km for the 12 months lease term, and 30,000km for the 24 months lease term. There is a $0.09/km surcharge for the extra kilometres. No, you cannot smoke in our vehicles. What is the policy with wear and tear? What happens if I do not repair the damage before I return the car? We will assess the damage and give you a quotation on what needs to be paid for it to return to its original state.